Knowing how to program a computer is good for you, and it’s a shame more people don’t learn to do it. For years now, that’s been a hugely popular stance. It’s led to educational initiatives as effortless sounding as the Hour of Code (offered by Code.org) and as obviously ambitious as Code Year (spearheaded by Codecademy). I find the “everybody should learn to code” movement laudable. And yet it also leaves me wistful, even melancholy. Once upon a time, knowing how to use a computer was virtually synonymous with knowing how to program one. 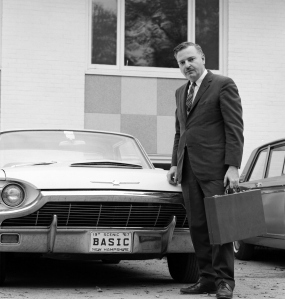 And the thing that made it possible was a programming language called BASIC.